Malpe, Mar 16,2017: A fisherman sustained critical injuries while seven others had a miraculous escape when the diesel tank of a Malpe origin fishing boat named Sri Guru exploded about 23 nautical miles off the Karwar coast on March 15, Wednesday morning. The injured fisherman has been identified as Antony D’Costa (40). The purse-seine boat had eight fishermen on board. 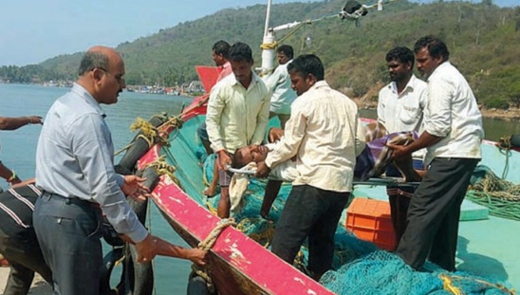 Antony was immediately rushed to a hospital in Karwar and later shifted to Udupi for higher treatment. The loss due to the explosion has been estimated at Rs 20 lakhs. What may be the reason for explosion?